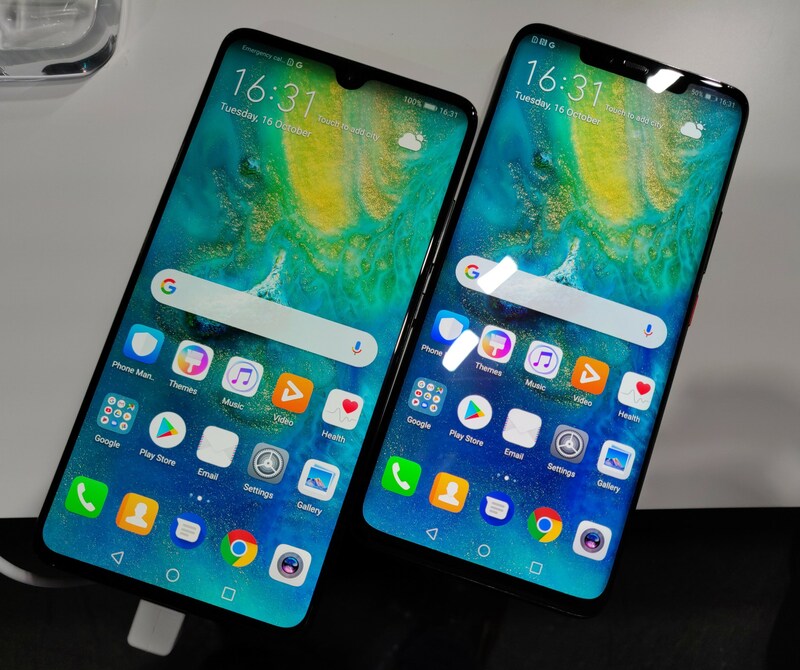 The Huawei Mate 20 was announced at the same time as the Mate 20 Pro, and has a larger screen at 6.53inches, as well as a Leica Triple Camera on the back. The Leica Triple Camera features three cameras, which includes a new ultra-wide-angle camera, with a 20mp sensor, f/2.2 lens which is equivalent to 17mm in 35mm equivalent terms. The main standard camera features a 12mp 1/2.3inch sensor, with 1.55micron pixel size, and is equivalent to 27mm in 35mm equivalent terms. There's also a telephoto camera, but instead of being 3x telephoto like the Mate 20 Pro, it is a 2x telephoto f/2.4 lens, equivalent to 52mm in 35mm terms. There's a small notch at the top for the 24mp f/2.0 selfie camera.